Timothy Bradley, 27 years old is a famous name in the field of Boxing. He is considered to be one of the best male boxers in the Welterweight division of boxing. To know more about His biography and profile, check this Timothy Bradley wiki article. Timothy Bradley, born on the 29th of August, 1983 is a professional Boxer from the United States. Timothy Bradley currently ranking as the current World Boxing Council Champion in the light welter weight division is one of the best boxers ever. A devout Christian, Bradley was born in the state of California, United States on the 29th of August, 1983. This American boxer from the Palm Springs California practices the Orthodox stance and is a former WBC Youth Champion. 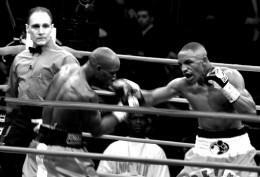 Bradley was considered as an underdog for his 5-1 against a fight with Junior Witter. Bradley never faced the top 10 contenders in his professional career. He never fought outside his country and also never fought for a world title. This mentioned fight was his first fight outside of California on the 10th of May, 2008 at the FM Trent Arena, Nottingham, England. This event was taken care and promoted by Mick Hennessy. Bradley earned the mandatory shot to fight against Witter's WBC title since the previous boxer Jose Luis Castillo was not able to qualify against him for the weight in Cancun. Bradley won his bout through split decision against Witter, who was a super light weight champion from Great Britain. His spectacular show of patience speed and an overhand right took everyone by surprise. The World Boxing Council acknowledged his victory full-heartedly. He attested the importance of being the World Boxing Council professional champion. Aside from that the defeat of Witter after defending the title twice, he gave up the title with much dignity and honour. As expected and predicted by all, Bradley is now the 25th "Showbox" alum to capture a world class title.